VendaDrink™ offer most suppliers products including market leaders such as Stentofield, Darenth, Sanden, Necta, Westomatic, Wittenburg, Electrolux, Zannussi and Azkoyen in London, Essex and surrounding areas. We supply snack, hot and cold drink machines and water dispencers. We offer the very latest models giving you an almost unlimited choice of drink and snacks, that caters for every taste. Our after sale service is backed up from feedback by customers as to what they wish to recieve. We will regularly fill and clean your equipment to stringent hygiene specifications to ensure a constant supply of quality drinks. We will endevor to respond to any call within a three hour period to cover any type of call out service to all areas for repair, service or re-stocking of your equipment. We supply top brand vending ingredients i.e. 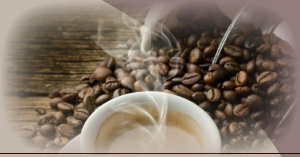 Nescafe, Knorr, PG Tip, Cadbury's, Kenco, Tate and Lyle, Typhoo, Douwe Egberts, as well as a large choice of coffee beans. At VendaDrink ™ we let the customer choose the products they want to see such as Coca-Cola, Diet Cola, Dr Pepper, Shandy, Cherry Coke, 7 Up, and Lucozade but these are only just a few of vast drinks we offer, this together with a comprehensive range of crisps, chocolate's and healthy options gives us one of the largest range of options that anyone could offer. For a more detailed overview of our snacks and cold drinks range, please view our vending product pages where you will find details also of our price lists.